We're Officially on the Hunt For Our Commercial Kitchen! — Triangle Pastry Co. Since it's not quite time to hire a team, we need to find somewhere to jump-start and get on the ball with baking some tasty pastries. Unfortunately my home kitchen just won't cut it, even though I do foresee some office work on my dining table for a while. 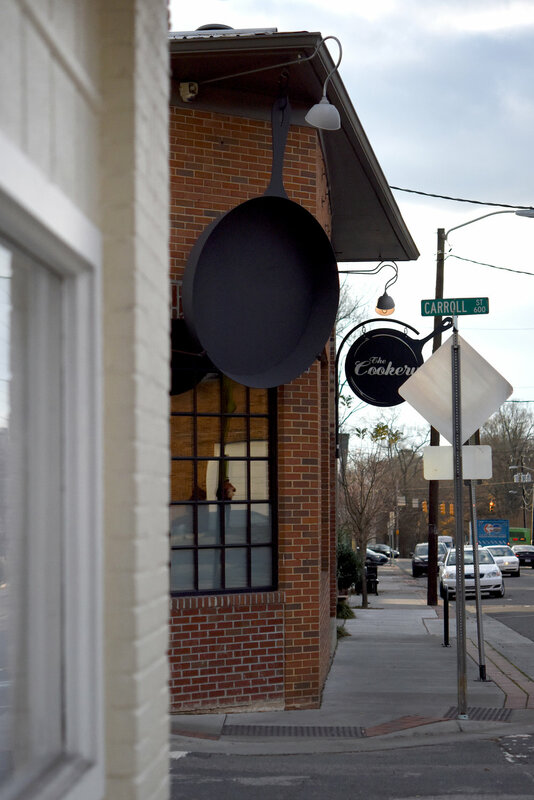 The Cookery on West Chapel Hill Street in Durham. Thus far we've been looking around Wake County. Tuesday, I went to the Cookery in Durham to check out their state-of-the-art incubator kitchen for tiny food businesses -it's also a recently expanded event space (which, off topic, is lovely if you're in need of a venue). This kind of arrangement is nowhere to be found in Cary. I can't figure out why, but apparently the communal style organization isn't allowed in Wake County. I am having a bit of an internal battle over keeping it local in Cary, but I'm almost ready to say, "Hello, Durham!" I'm feeling pretty confident that the Cookery would be a great starting point for Triangle Pastry Co., but there are a few more hoops to jump through before we can hit the ground running, no matter what. You know, just so it's on paper that I will pay taxes, write annual reports, wash my hands often enough, and not serve eggs cooked below 160 degrees. Routine regulations. 2018 is going to rock.